Honolulu, HI – October 19, 2016 - ArcSling LLC is proud to introduce its Motion Converter, designed to enable an alternative energy powered un-tethering from the grid. The pendulum powered Motion Converter produces electricity by harvesting kinetic energy resulting from the rocking and swinging motions that occur in our everyday lives. The unit can also be pushed or pulled to generate electricity manually. Equipped with not only two 5V USB ports but also with a 12V port for added versatility, the unit can be used to charge cell phones, tablets and most GPS and Bluetooth devices. The ArcSling Motion Converter can also be used for charging external battery power packs to store energy for later use. The Motion Converter efficiently produces power in remote areas, unlike solar and wind energy converters that are at a disadvantage because of the intermittent nature of their energy sources. Different from large-scale wave energy converters, ArcSling’s device promotes distributed energy generation and storage that does not rely on pricey utility companies. There is no need for the large invasive infrastructure associated with environmentally-harmful industrial-scale wave energy converters. ArcSling has produced a video available on http://arcsling.com/, highlighting their revolutionary technologies. ArcSling’s founder Clyde Igarashi explains, “ArcSling’s technologies harness the naturally-occurring kinetic energy that’s surrounds us. They have the potential to be vital to the globe as the world searches for cleaner energy solutions. The Motion Converter is the first stage of ArcSling’s plans. Powering smaller devices represent great possibilities and opportunities. Our ultimate goal for this technology is to be able to replace or augment batteries used in today’s mobile devices with smaller, longer-lasting and more efficient technology. ArcSling is also working with partners to scale up their technologies for bigger devices. Primarily because of low conversion efficiencies, there is no standard technology for wave energy conversion at the present time. The company hopes to remedy this situation and looks forward to further developing technologies that harness movements which occur all around us. 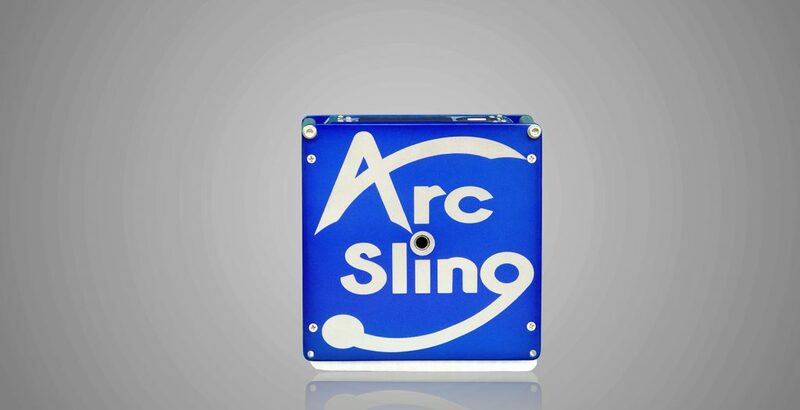 ArcSling is currently running a Kickstarter campaign to promote its technologies: http://kck.st/2dmNWrf . ArcSling LLC’s quest is to develop the next generation of alternative energy technologies. With a focus on harnessing the naturally occurring movements that surrounds us, the company looks forward to a bright future.